Chester cyclists were very upset when the canal towpath route through the city was closed on 21st November 2017. 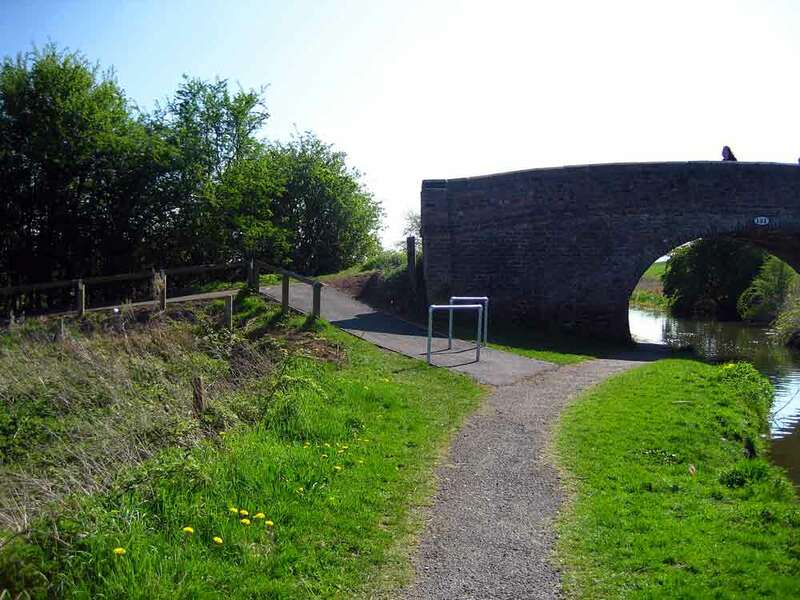 The towpath is a safe, direct, attractive and traffic-free route for both commuting and leisure cyclists, and its closure has been keenly felt. At the time of the closure the Chester Cycling Campaign spoke to the Canal and River Trust and to Cheshire West and Chester staff. 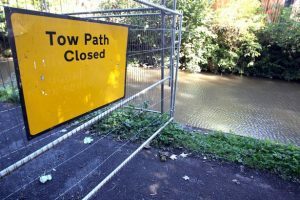 We learned that the Canal and River Trust closed the towpath following a risk assessment which showed that there were some big blocks of sandstone above the towpath which were loose and which were regarded as a potential risk to towpath users. 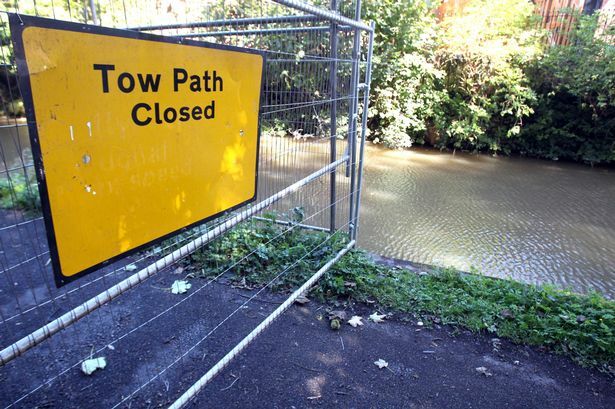 As a result, the towpath was shut indefinitely. However, no work has started on the repairs as the Canal and River Trust and Cheshire West and Chester Council have been in a dispute over who should pick up the bill for the necessary work on the rock face. Canal towpath users, including the Cycling Campaign, have been pressing the relevant parties to resolve their dispute and to take urgent action to reopen this much loved and heavily used route through the city. In November 2018, one year after the towpath closure, a member of the Chester Cycling Campaign, Craig Steeland, and our local MP, Chris Matheson, spoke out publicly regarding the growing frustration about the continued closure in an interview for BBC Radio Merseyside. The Campaign is grateful to Phil McCann, the BBC Radio Political Reporter for Cheshire, for making the recording below available for our use on this website. 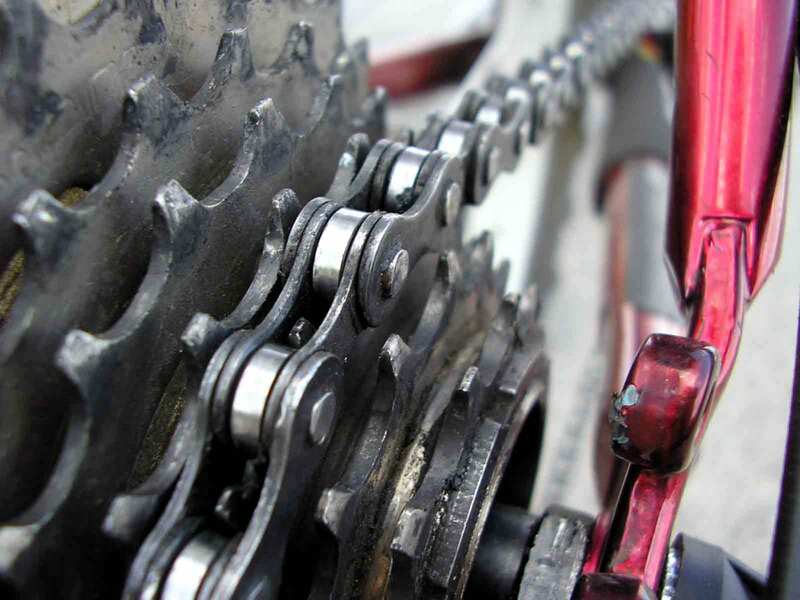 The Campaign will continue its efforts to bring about the reopening of the canal towpath in the interests of all local cyclists. Good report that, covered many of the relevant points well. I have been banging on about this for months. See my Chester pages for regular updates on this.. I sympathise somewhat with the Canal & River Trust, who tell me they have tried very hard to engage with CWaC to resolve this issue. The problem lies squarely at CWaC’s door. Their denial of ownership of the rock wall is entirely new and, doubtlessly, opportunist. What is not new, tragically, is their long term neglect of this very special area. The North Wall is one of Europe’s finest surviving examples of monumental Roman military defences and is consequently listed as a Scheduled Ancient Monument with all the supposed ‘protections’ that such status involves. Not so: large trees once again sprout from between the ancient stones and the entire area is thick with other shrubs and undergrowth. The path below is slimy and rubbish-strewn. And where do English Heritage, supposed guardians of our historic past, stand on the issue? They told me “we cannot get involved until ownership of the cliff face is established”. My most recent correspondence upon the matter from our estimable MP told me that he, after waiting several months, had yet to receive a response from the Chief Executive of CWaC.. While in the area, let’s not forget that, immediately above, the City Wall remains, after several years, closed and Water Tower Street remains blocked by the huge plastic box encasing the decayed steps. Locals will be well aware that nobody at all has been seen on site there for a very long time. A little further down the Wall, the steps at St Martin’s Gate are held up by scaffolding, ditto the Wall behind Rufus Court and in a growing number of other locations.. Still closed and no ongoing work or alternative route signposted. Very poor. Strange why the canal has not been closed as well, obviously the canal boat drivers are immune from falling lumps of sandstone, probably due to anti gravity devices fitted to their boats. No signs for alternative route and had to ride through a busy main road to get to the next part. Why has alternative route not been signposted for this important & busy active travel route.